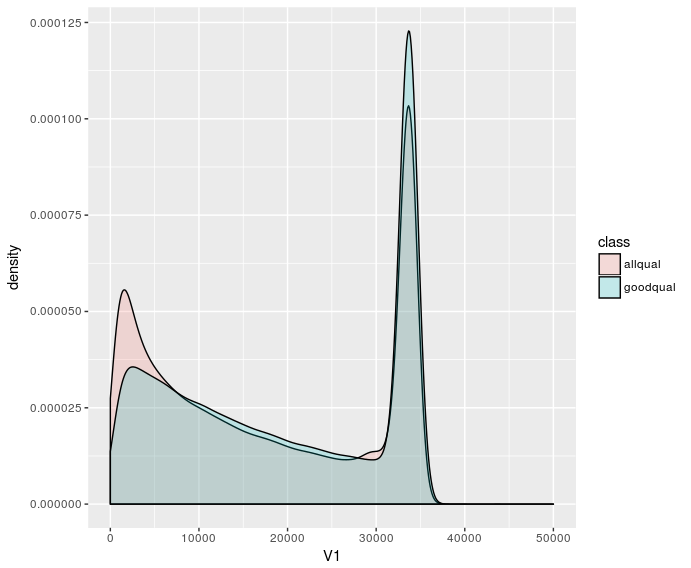 What would be a proper way of plotting read length distributions from different datasets (e.g. 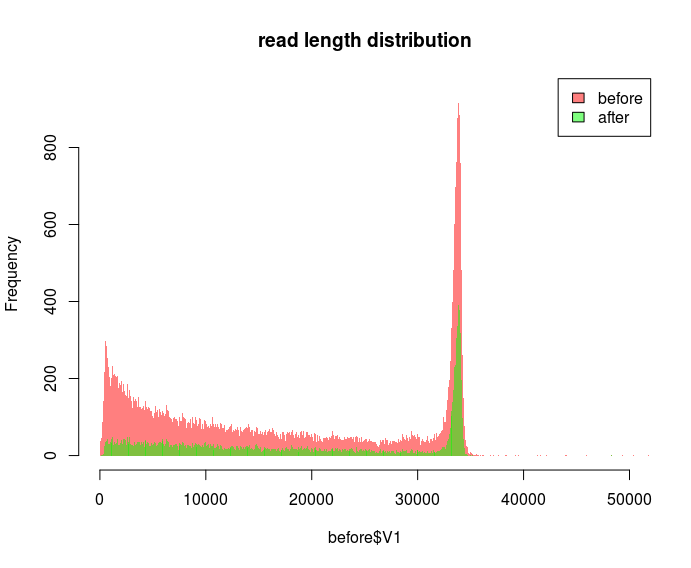 raw reads vs. reads after quality filtering, with one dataset x2 bigger than the other) together? The "before" dataset has 300k reads and the "after" dataset 192k reads. The frequency for the bins seems to be totally off. Why do the bins look so different? I've read that the breaks= parameter is just forwarding the number as a suggestion to the function which actually calculates the bins based on your data. 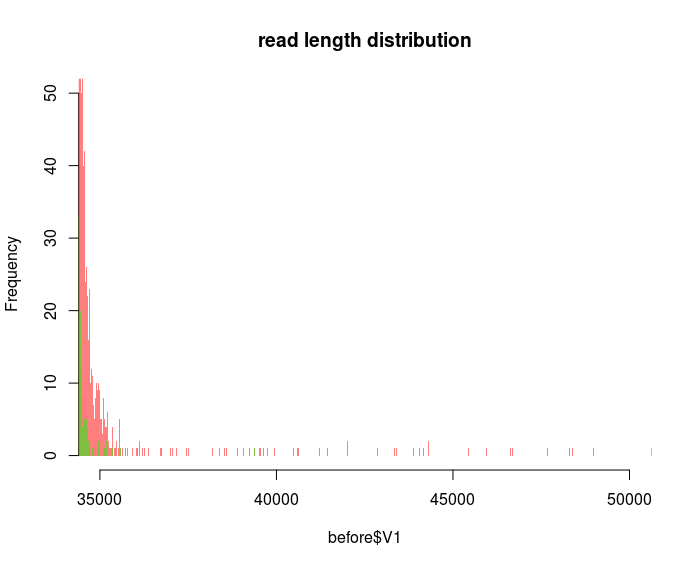 So I guess my question would be: How to choose an appropriate bin size to plot the frequency of every single read length or is there a better way than using histograms? In your graphs what axis represents the read length and what axis the number of reads? Why should the size of the data matter if you are plotting length distributions? I thought the size would matter when you specify the number of bins. In this case where I'd want to have 1 bin per length, shouldn't the the larger dataset have more bins (because it has lengths which have been filtered out in the other dataset)? If I am plotting the distribution with bins, I suppose the bins should be the same size in order to show a valid comparison, no? Statistical approach to identifying outliers in RNAseq data?